ST. LOUIS — Producers from Gateway: the City’s Reason will give a presentation about the independent television series at the 2013 Webster University Sustainability Conference on April 12, 2013. Executive Producers, Gene Pfeiffer and Mike Sneden and Consulting Producer Joe Hanarahan will present: “Our Common Future: the Stage for Stories in a New World,” a discussion of the “sustainable stage” upon which Gateway stories will take place. The Webster Sustainability conference brings together academia, businesses, community leaders, and organizations to share in dialogue and achieve a greater understanding of how we collaborate on sustainability challenges for our common future. 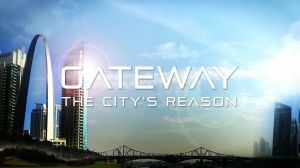 Gateway: the City’s Reason is a poli-sci-fi television drama set in an American heartland city 50 years from now. It’s an “Indie TV” project – produced locally and distributed via the web. At first glance, Gateway: the City’s Reason can be described as a TV series produced in, and about, St. Louis. And it is. However, it is much more than that. It will be the launching pad (a story-content-platform) for content verticals that will deliver unique and pertinent content to the audiences who plug into the Gateway-TCR franchise. Gateway: the City’s Reason is a poli-sci-fi television drama that envisions a future with mostly positive outcomes — one where good old American optimism touches everyone. That’s the stage on which Gateway stories take place. And we think it’s a stage that citizens should see more of today. Please enter the letters or words you see in the box below. Doing so helps prevent automated programs from abusing this service. If you are not sure what the words are, either enter your best guess or refresh the page.